In other parts of the world today, including Europe and Asia, and before my generation in North America, fountain pens were widely available in a much lower price range for both school-aged learning and everyday use. 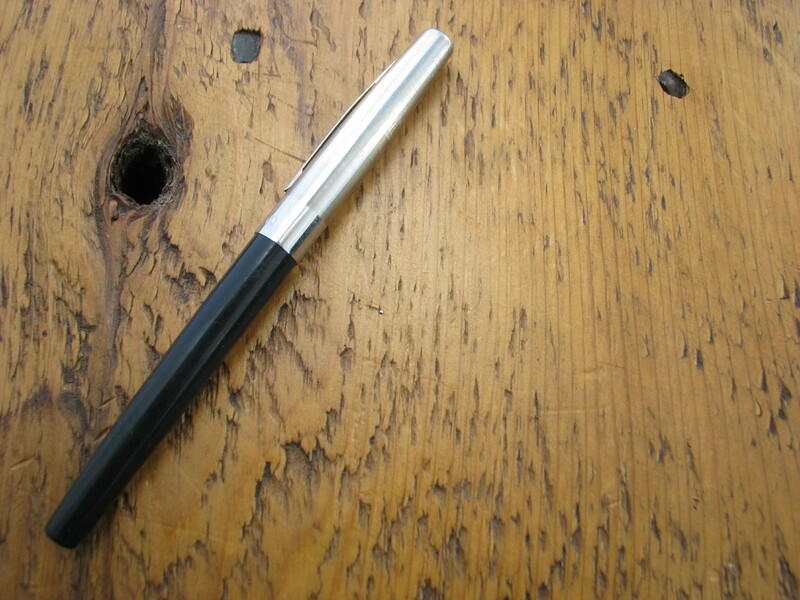 Higher-end fountain pens were and are seen as a status symbol, but the everyday use of fountain pens was everywhere. Pens and writing and ideas and drawing all go hand in hand. There is something personal about the character of a line written by a fountain pen. Taking a step back from our single-use society, a pen that is used over and over, filled with different inks and colours, can become a statement about the things we treasure. There is also something about the way your mind and your hand work when you write something down. The physical act of forming the letters, the size and shape, solidifies and forms your ideas. The clicking of a keyboard is exactly that – a uniform click. Field Notes’ slogan is “I’m not writing it down to remember it later, I’m writing it down to remember it now,” which again touches on the relationship between the act of writing and what happens in our minds. Today, quite a few fountain pen users enjoy the care and time it takes to clean and use a good quality pen. Some pick up a fountain pen to improve their penmanship, and others begin to collect some of the hundreds of different ink colours available. And it can be fun! There are blogs and forums to be discovered, and sharing ink is a sure way to a pen-lover’s heart. In the age of email and text messaging, there is still something nice about a handwritten note or letter. Instead of the cheap, disposable pens that have no meaning, instead, a good quality pen can be something you value and that you carry with you through life. We don’t all need the most expensive pen, or a vintage collectible. There are a wide range of beginner fountain pens – Lamy Safari, Kaweco Sport Pen – all for under or around thirty bucks, but even quite a few that are under ten dollars: Platinum Preppy, Serwex 362, Jinhao 126. With a bottle of ink and some good paper, you’re on your way. Will the pen ever be replaced by technology? Who knows? But the value of writing by hand can’t be underestimated. Not dependent on a power outlet or the glowing pixels of a twitchy screen, there is something gratifying about the contact between pen and paper, and the line it leaves behind. Maybe people are asking for a break from the impersonal and the black hole of cyberspace. Try writing a letter today, with a great, dark ink on a crisp sheet of paper, and I’m betting that that letter will have some pretty personal value to its reader. “I have an almost obsessive relation to writing instruments. I often switch from one pen to another just for the pleasure of it. I try out new ones – I have far too many pens – I don’t know what to do with all of them. And yet, as soon as I see a new one, I start craving it. I cannot keep myself from buying them.” – Roland Barthes.